When families visit the city of Canberra, they often ask where the best places are to eat with kids. 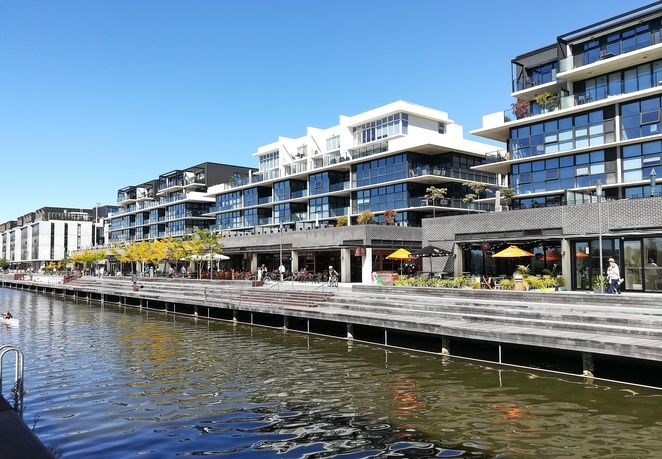 There are many places to choose from for breakfast, lunch and dinner around the Capital, however, if you are looking for somewhere scenic with a view - you can't go past the Kingston Foreshore. It is a stretch of cafes, restaurants and gastropubs at the eastern end of Lake Burley Griffin and all of the eateries have water views and outside tables, to enjoy the holiday atmosphere. The area is enjoyed by locals and discovered by tourists when they visit the Old Bus Depot Markets and Canberra Glassworks, located behind the waterfront. The foreshore is enjoyed by everyone, however, if you have smaller kids who like to run, please be aware that the walkways along the water aren't fenced (see photo below). 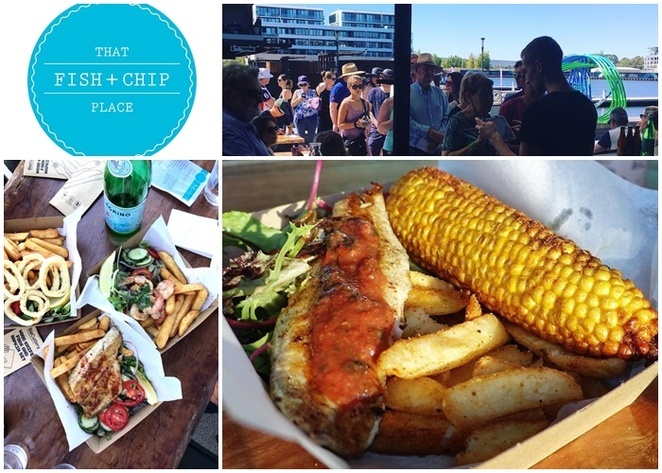 These are our family's top casual eateries that we enjoy along the Kingston Foreshore - where are yours? If you have a favourite spot, please leave a comment at the top of this article and share your top pick(s). Although none all of them advertise themselves as "family friendly", you will find that all of them will welcome kids of all ages. Why don't you check it out this weekend? Cafes, restaurants and boardwalks on the Kingston Foreshore. Look out for swans, kayaks and ducks! 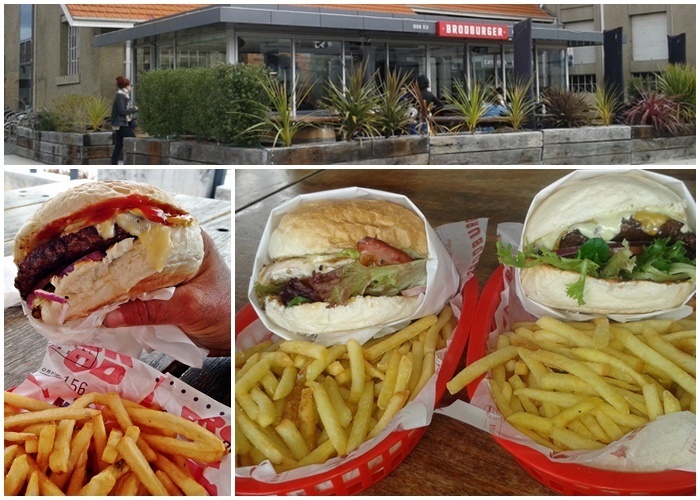 Brodburger is a local favourite that is set back from the water, at the entrance to the Canberra Glassworks. It is often described as having the "best burgers in Canberra", due to its big burgers jam-packed with ingredients and sauces that drip deliciously down your arm. If you decide to eat at their tables inside or outside, they have board games to play while you wait. It is particularly popular with families in the warmer months, as they order takeaway burgers and enjoy them sitting down by the water. See here for details. If you enjoy the burgers, you can also find Brodburger at the Capital Brewing Co in Fyshwick, with lawn games out the front. Beef and Barley is another popular burger joint for lunch or dinner, situated at the far end of the foreshore. Kids get a kick out of the games to play, the Burger High Tea, fairy bread and two kids burgers on the menu! See here for details. Gastropubs on the foreshore are Walt and Burley and The Dock - which both have outdoor seating and Kids Menus. That Fish and Chip Place is open in the summer months only and it is the perfect spot to pick up some fish and chips and relax by the water. The fish and chip shop opens each Friday and Saturday evenings when the café they run out of - 38 Espresso - shut their doors. The owners of the highly popular 38 Espresso thought the foreshore could do with a fish and chippery, so extended their kitchen and now operate from a window in the café, with seating outside. They were right - it was an instant hit and will be back again this summer! See here for details and when they will open again this summer. Remedy is a small coffee outlet set back from the water, with takeaway coffees, paninis, toasted sandwiches, croissants, hot chocolates and muffins. Our family visit for breakfast or lunch whilst out bike riding and take advantage of their "coffee and toastie" deals, as well as their cold drinks. Remedy is owned by Lonsdale Street Roasters here in Canberra, so the coffee is worth riding around the lake for. See here for details. 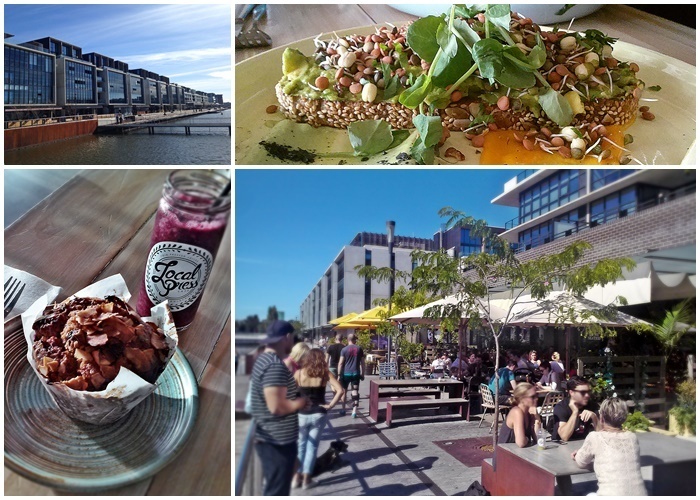 Local Press café is one of the most popular healthy cafes along the foreshore - for good reason. Everything on their menu is fresh, healthy and full of vitamin-rich ingredients to start your day on the right note. Although the menu isn't particularly family friendly, the kids will love the pressed juices and juicy, wholesome muffins! See here for details. Movenpick is a popular venue for ice-creams all summer, as well as a dessert restaurant all year around. This venue is the perfect end to a walk along the foreshore, with a wide range of flavours to choose from and seating inside, or outside at the tables or on the steps. This venue is so good, that you may want to go back on your own for "date night"! See here for details. 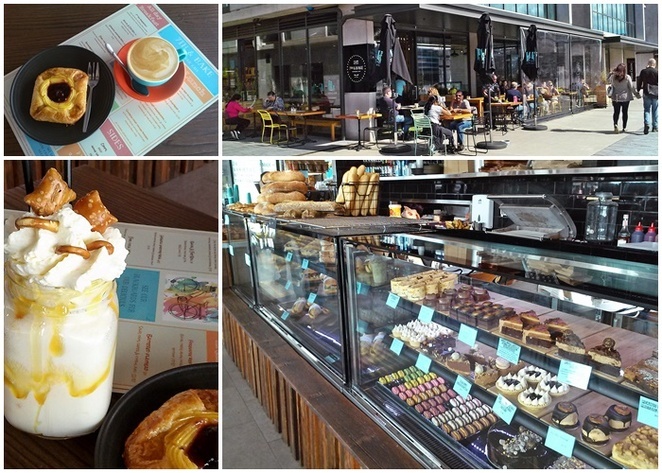 7th & Bake Patisserie is another outlet on the foreshore which sells Lonsdale Street Roasters coffee, combined with a fresh menu and long display case of delicious pastries. Kids in particular love walking along the display case to choose what they want. See here for details. These are just some of the long list of eateries available along the foreshore - where do you like to go? This list is made up of mostly casual outlets, as our family often visits the foreshore before a bike ride - however if you have stayed for dinner and found a family favourite, please leave a comment at the top of this article and share your local tips. Another feature of the Kingston Foreshore that your kids will love - if they are anything like our daughter - are all the well-behaved dogs that you see as you walk along. 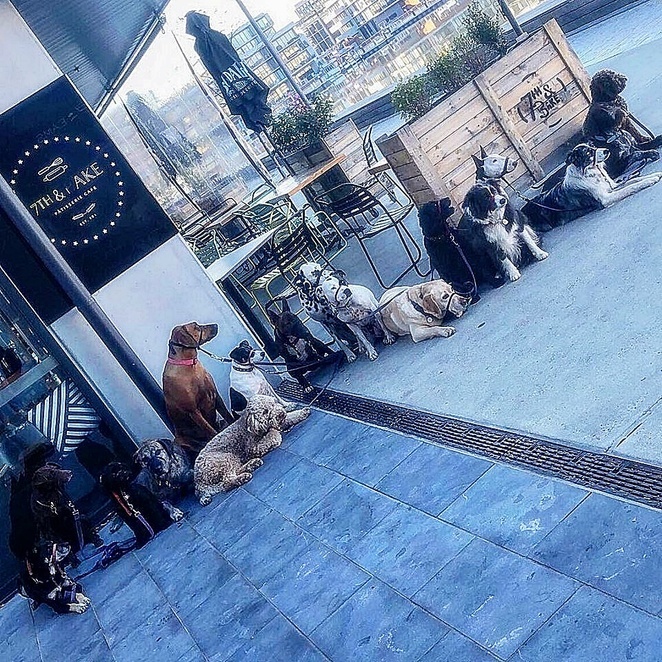 Each café is dog friendly, so you are sure to meet some of these cuties on your foreshore jaunt!